with the proceeds going to the church. quilt dimensions: approximately 7 ft. by 8 ft. (Queen size bed). 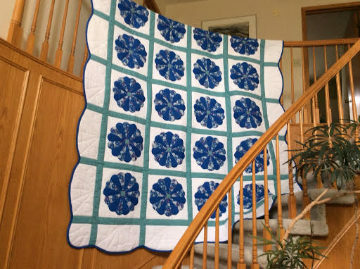 quilt will be on display in the Fellowship / Lecture Hall of the Church Sundays, October 1st, 8th & 15th, and at the 125th Anniversary Dinner, October 21st, at the Norwood Hotel. bids can be made at the church on October 1st, 8th & 15th or at the dinner on October 21st. Please see either Grace Aoki or Peter Macdonald. there is a reserve bid of $950. Thank you to everyone who came out to the community BBQ on April 30th. Community response was generous as Wolseley neighbours and Westminster folk came together to donate clothing, household items and money, as well as share food and enjoy each other’s company. Those who wished to do so, were invited to participate in a focused conversation and debriefing about the fire experience. The cash collected was very generous and included $250.00 donated by the fire fighters. Each household has taken what they can use of the goods donated and what is left will be donated to the Bell Tower Community Café. The cash will be shared among the six individuals directly affected by the fire — four adults and two children. Costs associated with the BBQ were covered through donations specifically made for that purpose. Once again, Westminster thanks all for their generous care and support of our neighbours. Come join tenor, Jan Nato, and pianist, Christopher Kayler for “A Midsummer Night’s Dream” a song recital inspired by the heat of the summer and the dreams that come with it. 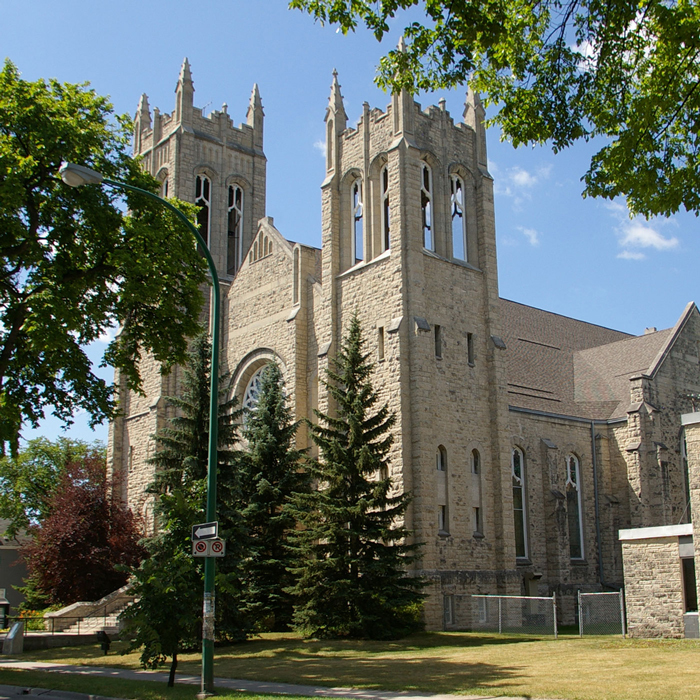 Westminster United Church will host this evening of great music and beautiful art. 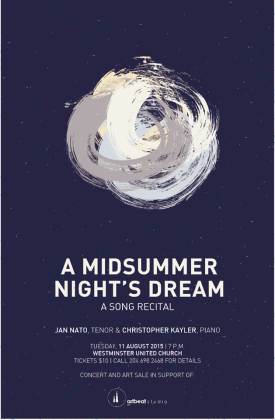 This concert will be in support of Artbeat Studio Inc, a fantastic organisation that promotes wellness through creativity. The works of Artbeat artists will adorn the platform of the church and will be available for purchase for those of you who have a wall that needs some love. Available at the door, from Jan Nato, Artbeat Studio Inc., Studio Central – Urban Arts Centre, Upbeat Artworks, and Westminster Church. Call 204.698.2468 for more details.